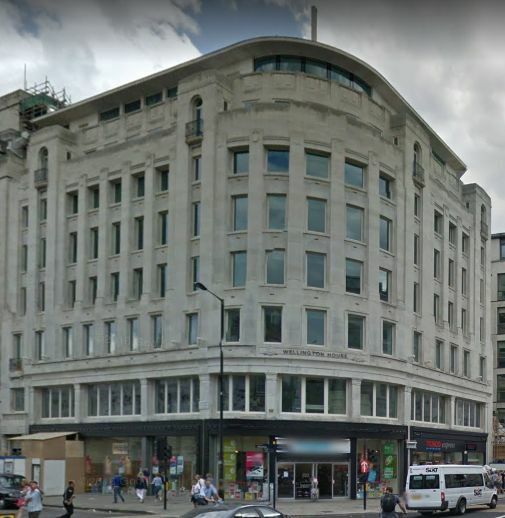 In 1818, the fire insurance for 391 Strand was recorded for David Simpson, baker, but by 1833, the insurance was taken out by William Henry Simpson. 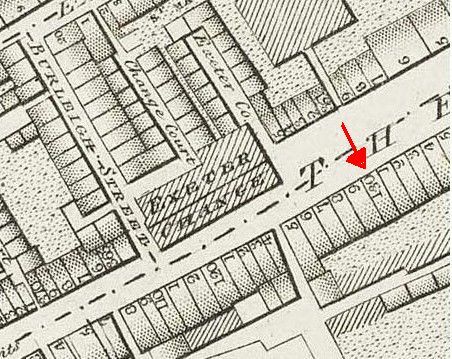 The latter was living above the bakery at the time of the 1841 census with his wife Maria and four children. William Henry was 38 years old on the census record, so born in about 1803. 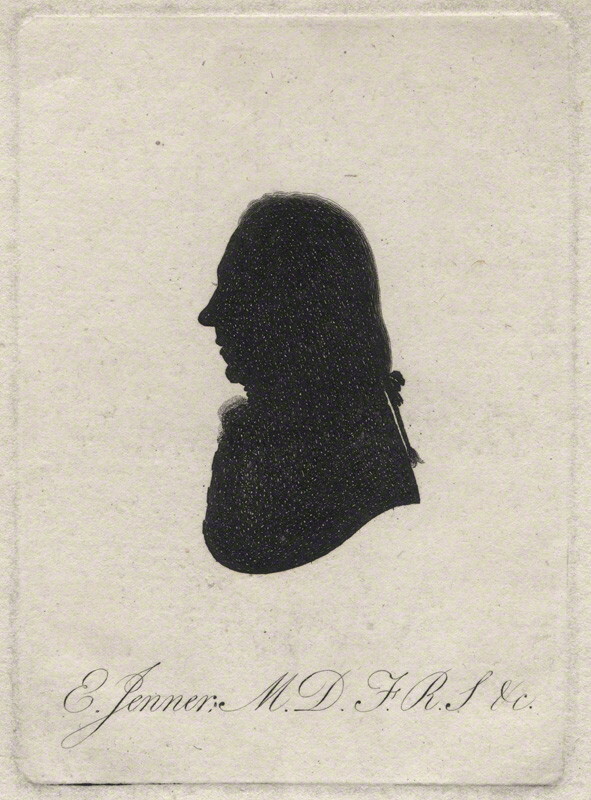 David was born in about 1786 and married Agnes Johnston in 1811. David and Agnes had two children, Isabella Maria (born in 1813) and David junior (born in 1815). The gentlemen were most likely related, but I have not figured out how. 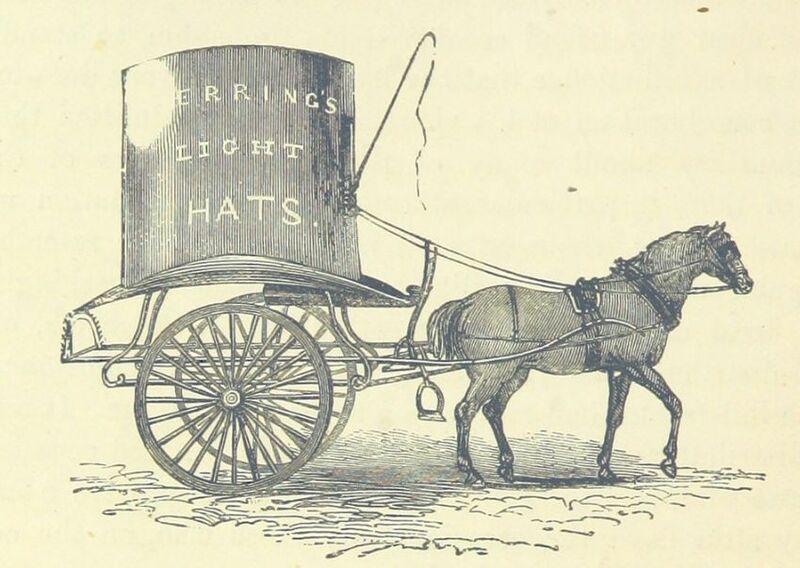 Never mind, it is about the bakery of William Henry that this post is about. David moved his baking activities to Piccadilly and we will follow that story in another post (see here). 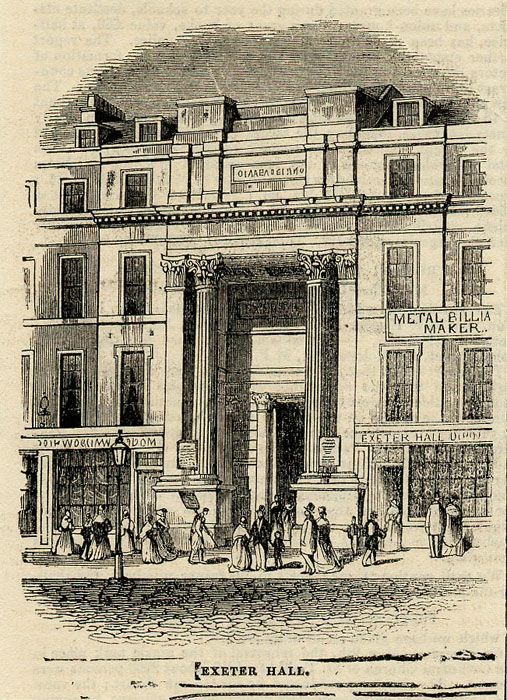 In 1833 and 1836, the Sun Fire Office insurance that William took out for his bakery also mentions 13 Tavistock Row, Covent Garden, with the name of Jamieson bracketed behind it. 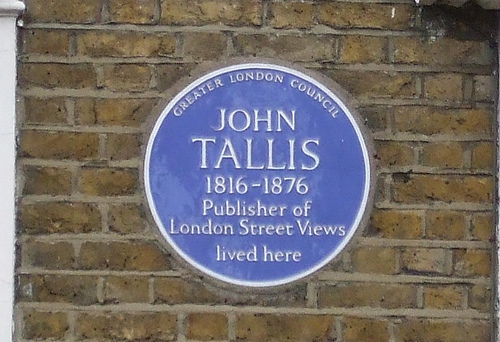 Tavistock Row was the name given in the eighteenth and nineteenth centuries to all the houses on the south side of the Piazza between the east corner and Southampton Street. Tavistock Row consisted of two groups of houses separated by a passage from the Piazza into Tavistock Street called Tavistock Court. 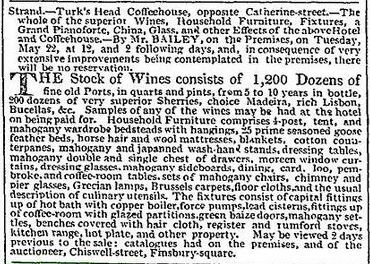 By the early nineteenth century most of the houses in Tavistock Row had been converted into shops. 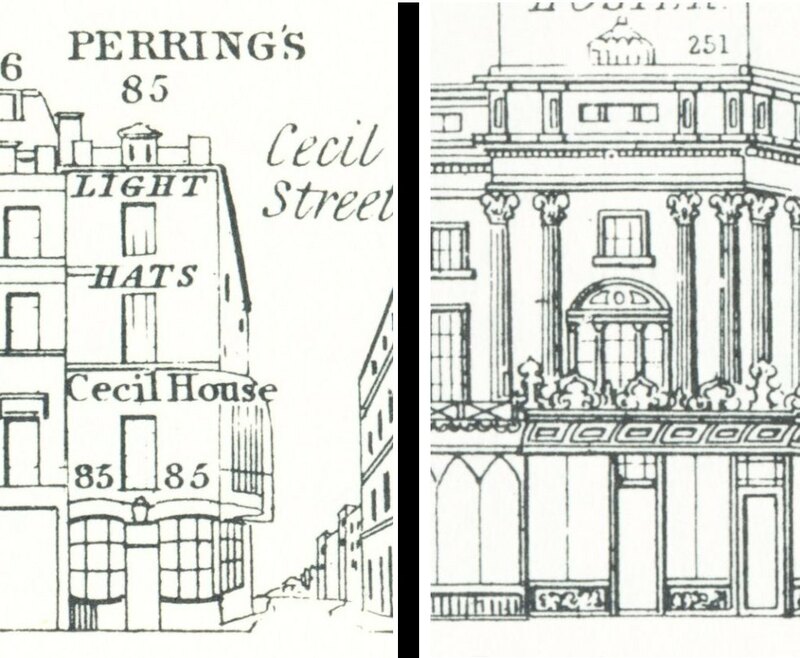 All of them were demolished in 1884–5 to make more room for the market. 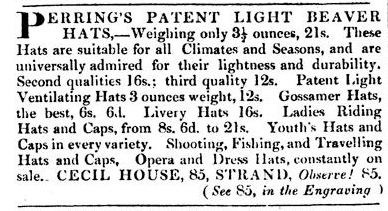 (1) From the insurance records of the Sun Fire Office, it appears that number 13 was occupied by various people in the 1820s and 30s. Thomas Booth and Isaac Harkness, painters (Nov. 1824); Newman Francis Robinson Macgowran, grocer and oilman (Oct. 1828); Sprigg Homewood, grocer and oilman (Sept. 1831); Mary Manvell, grocer and dealer in oils (Oct. 1832); from 1833-1836 W.H. Simpson with other occupier Jamieson, but in July 1838 Ann Jamieson, widow, paid the insurance herself. 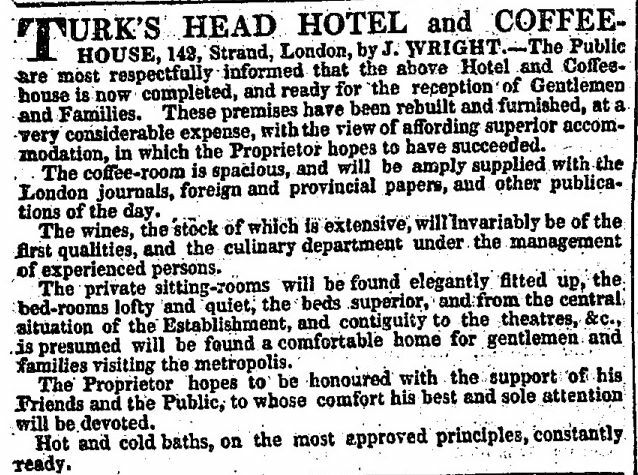 This last entry gives the other occupiers as ‘tobacconist, fruiterer’. All this, however, does not explain what Simpson had to do with the property. Perhaps it was an investment, or perhaps he used it to sell part of his bread production, or … ? 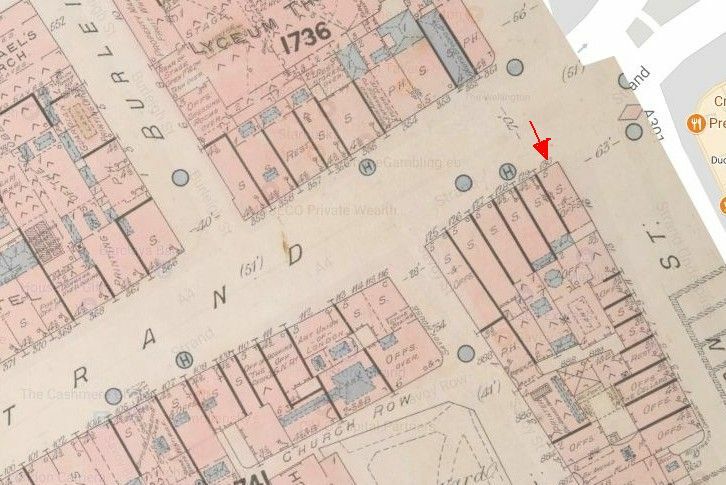 The 1841 census for the Strand bakery not only shows the Simpson family there, but also some lodgers and several employees, one of whom is William Jamieson, 20 year old, a baker. 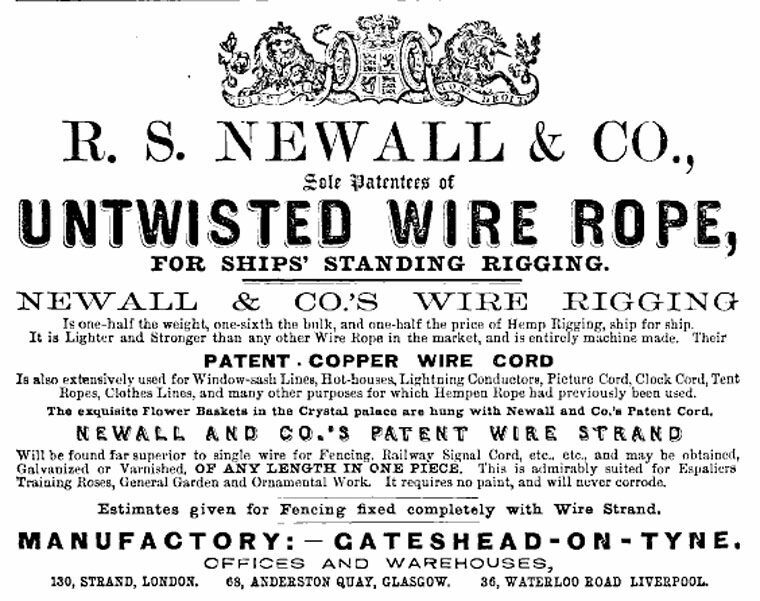 Now, was he a relation of the widow Ann Jamieson of Tavistock Row? I cannot prove that he is the William who was born to Alexander and Ann Jamieson (baptised at St. George the Martyr on 29 Oct. 1820), but Alexander’s profession is stated on the baptismal record and yes, he was a baker as well, so there is a good chance. 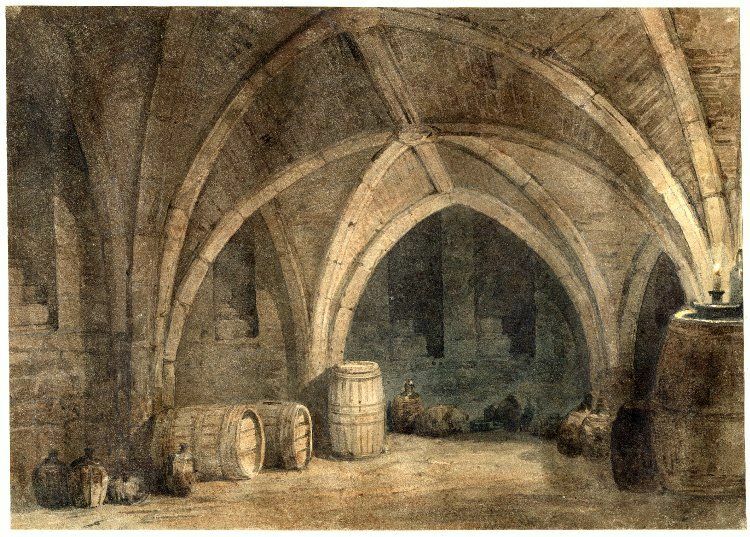 The Sun Fire insurance records also tells us that in 1823 Walter Stephen Lethbridge (1771-1831), an artist, takes out an insurance for 391 Strand. Presumably Lethbridge rented one or more rooms above the shop. 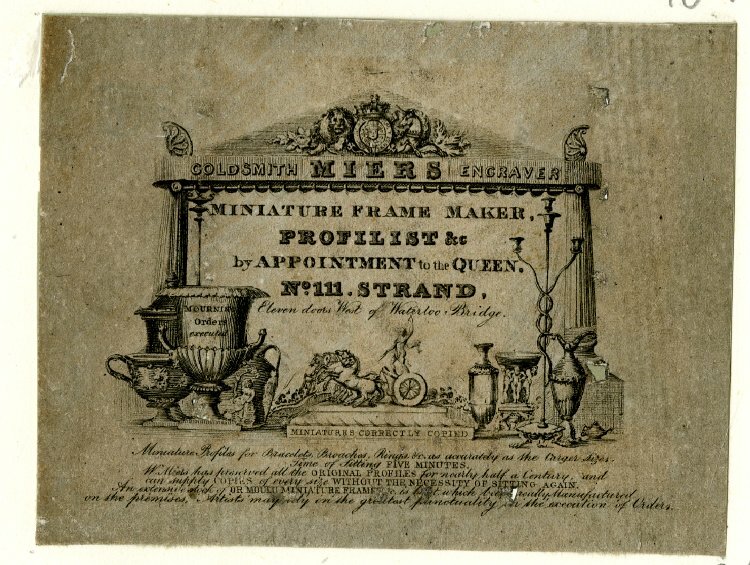 Occasionally Lethbridge’s paintings, he specialised in miniatures, come up for sale, but one of them is of interest to the bakery story as it depicts a Mr. W.H. Simpson. (2) The back of the panel is signed and inscribed ‘Mr. 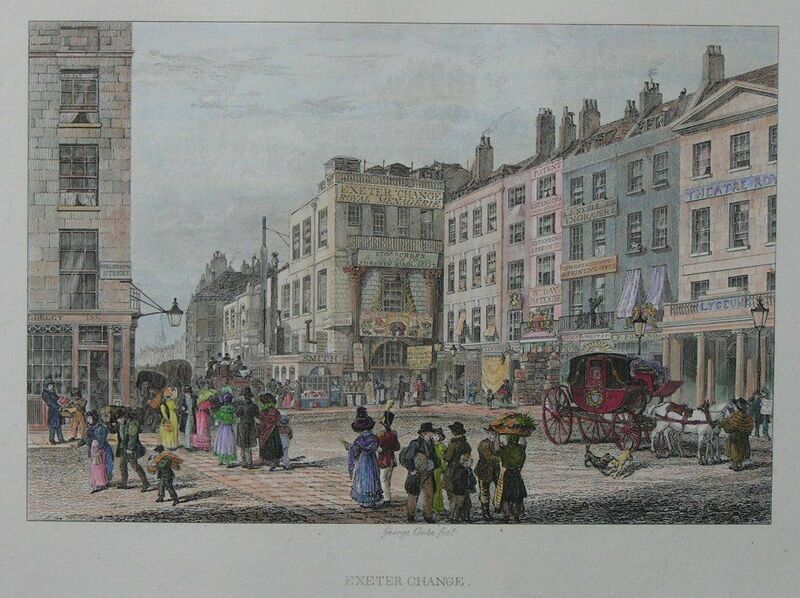 W. H. Simpson / of the Theatre Royal Bristol / in the character of Hamlet / “I knew him well” / act 5, sc.1 / by W.S. Lethbridge / 391 Strand’. 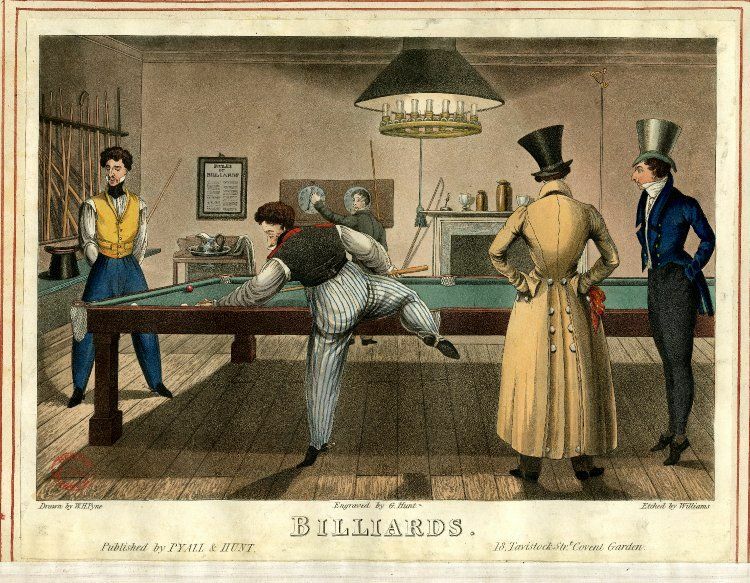 The painting was exhibited at the Royal Academy in 1828. 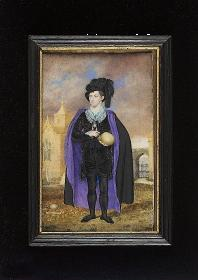 (3) I am not suggesting that Lethbridge depicted baker Simpson all dressed up as Hamlet, or his son who had the same initials, but Hamlet was certainly painted when Lethbridge lived above the bakery. There really was an actor W.H. Simpson, and it does not seem unreasonable to surmise a family relation between the actor and the baker. 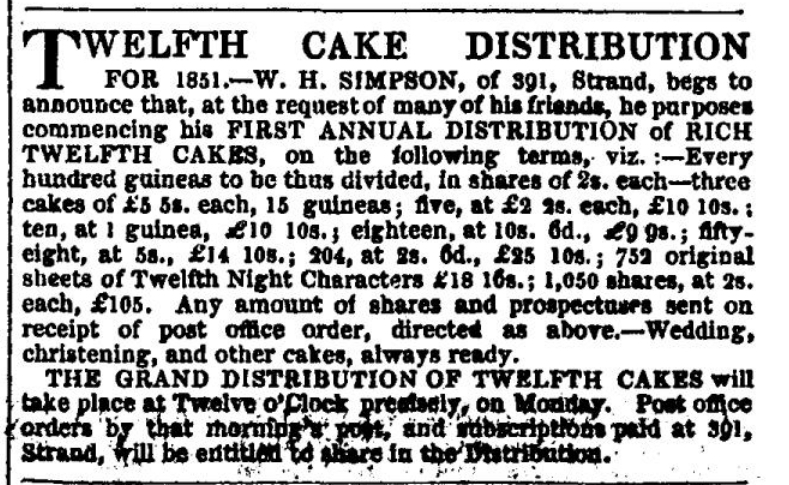 In early 1851, Simpson puts an add in the papers to announce that he is planning the ‘first annual distribution of rich twelfth cakes’. Twelfth cakes were the precursors of our modern Christmas cake; rich cakes, filled with fruit which were eaten on the evening before Epiphany. Each guest at the party was handed a piece of cake, the ladies from one side and the gents from the other. 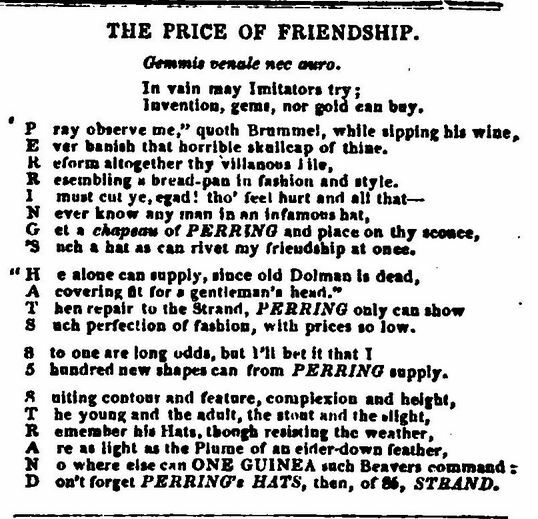 This was to ensure that a man found the hidden bean in his slice of cake and thus became King of the party and one of the women found the dried pea and was hence proclaimed Queen. 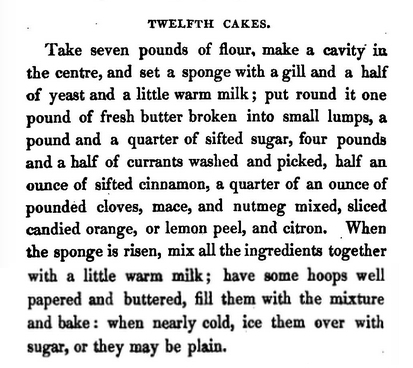 The earliest recipe for Twelfth cake can be found in John Mollard’s The Art of Cookery, first published in 1803, but the one above is the recipe from the 1836 edition. 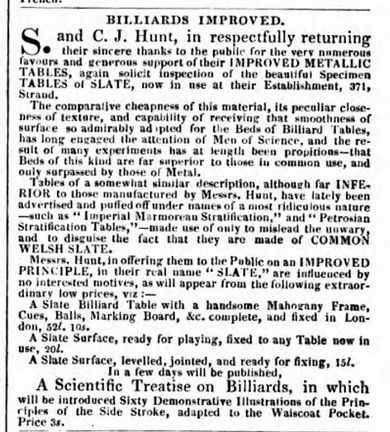 Don’t worry, it is exactly the same as that in the 1803 edition. Do be careful if you want to make it at home, Mollard lists quantities for a very large cake indeed. You may want to adjust them to the size of your baking tin and oven. The stunning cake in the picture was created at a course by the Austenonly people. You can follow the whole baking process here. 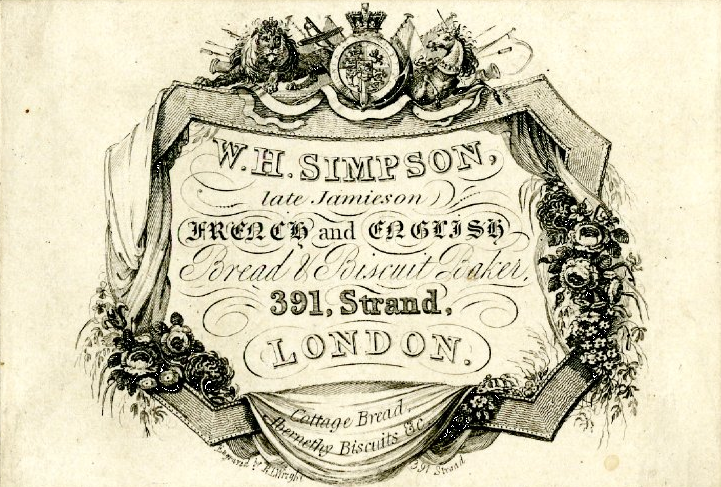 And if you want to know more about the icing on the cake, have a look here for A Complete System of Cookery by John Simpson (yet another family member of our baker?). 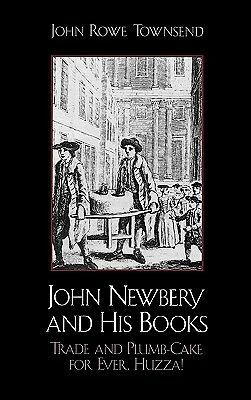 Go to page 520 for his recipe for “Icing for Twelfth Cake, or Rich Cake”. 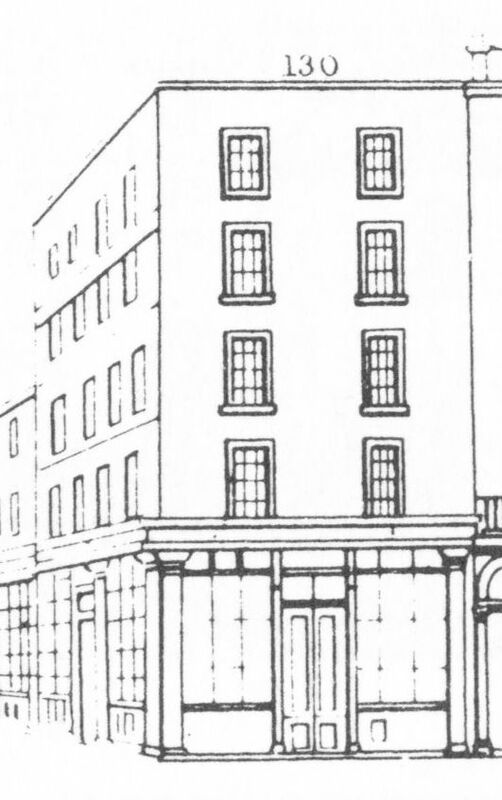 Above is the Street View illustration of the bakery in Tallis’s 1847 Supplement. 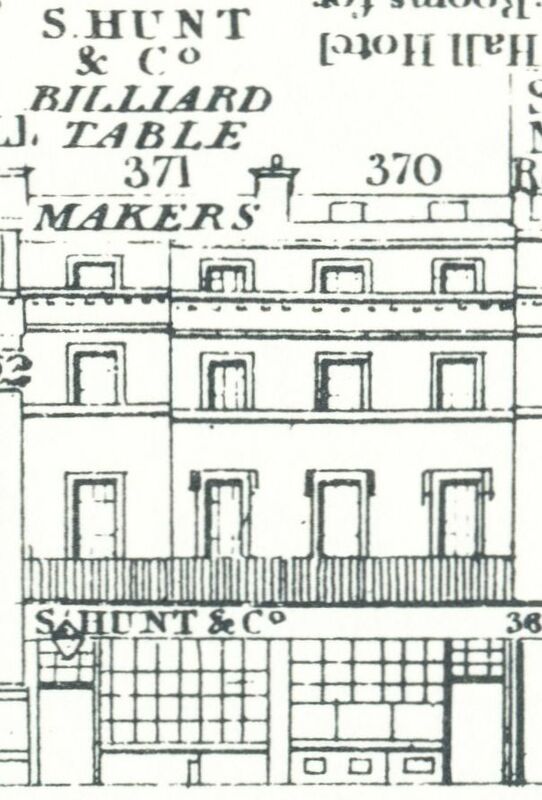 We know from the census that William Henry and family were still living at 391 Strand in 1851, but in 1861, William Henry senior, a widower, no ‘rank, profession or occupation’ and William Henry junior, unmarried, secretary to the Indian Coal Company, are both living at 7 St. George’s Terrace, Kentish Town, with daughter and sister Maria, her husband Henry Liston, and baby granddaughter and niece Effie. What happened to the bakery is unknown. (2) Lot 131 in Sotheby’s sale of 17 November, 2004. 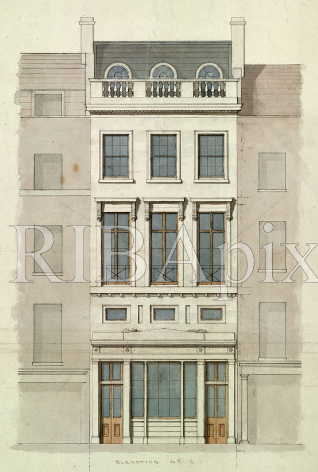 (3) A. Graves, The Royal Academy of Arts. 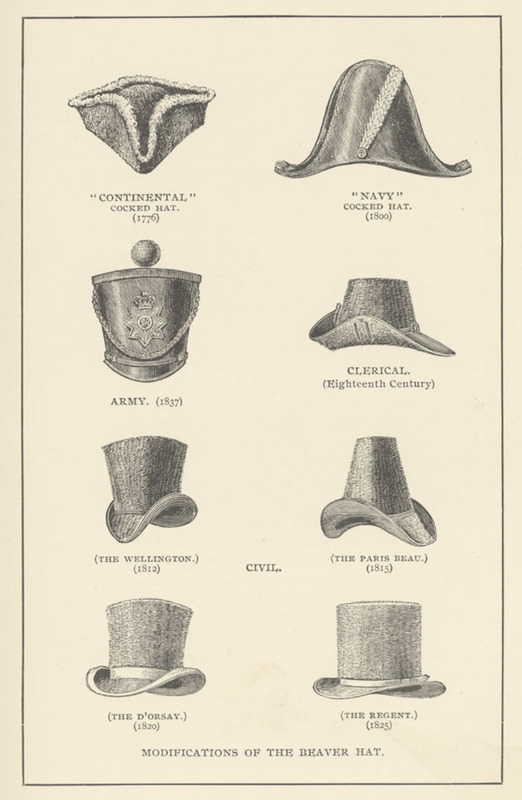 A Complete Dictionary of Contributors, vol. 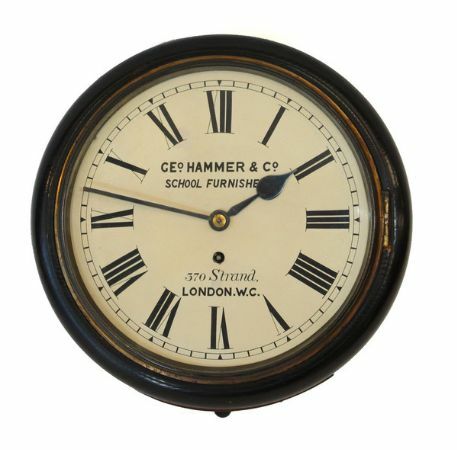 5 (1906).